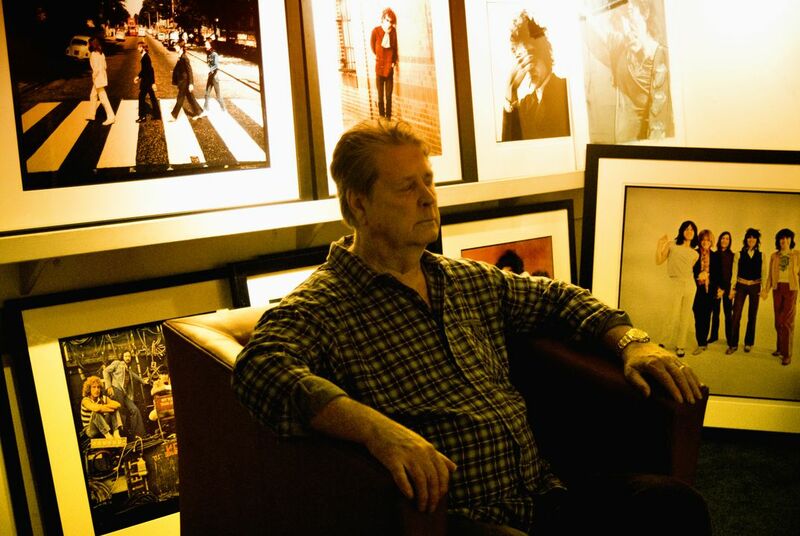 Brian Wilson rests after a performance in a SF gallery. Brian Wilson played to a pack house at the SF Art Exchange in Union Square San Francisco. The rock and roll gallery had Brian set up upstairs afterwards. His riveting performance proved also a bit exhausting, and he sat with his eyes closed for many minutes after, surrounded by images of his contemporaries. Date Uploaded: Feb. 4, 2016, 11:55 p.m.